If you’re a fan of drawing but are bored of just working by hand, you can now create your own 3D printed robot to help you out. 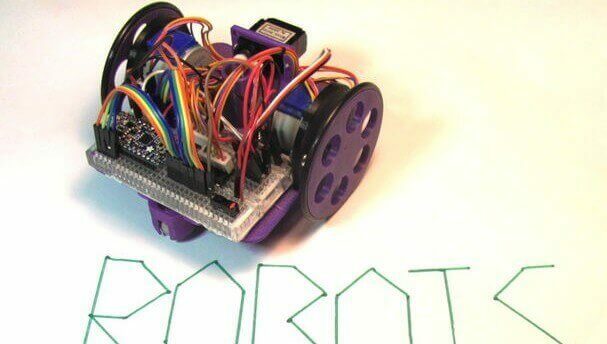 An Instructables user has shared instructions for building an Arduino-powered drawing robot, originally designed for a 10-hour workshop for ChickTech. 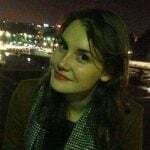 ChickTech is a non-profit company who are “dedicated to retaining women in the technology workforce and increasing the number of women and girls pursuing technology-based careers”. MakersBox needed to create an easy to build, easy to programme, interesting piece which the women could also take home. So he decided on this drawing robot. The robot moves around on wheels, with a pen in the centre of its body so it can draw shapes on underlying paper. Using commands, the robot is able to perform a range of different tasks from writing a sentence, doodling patterns or even drawing a snowflake. How Does the Drawing Robot Work? 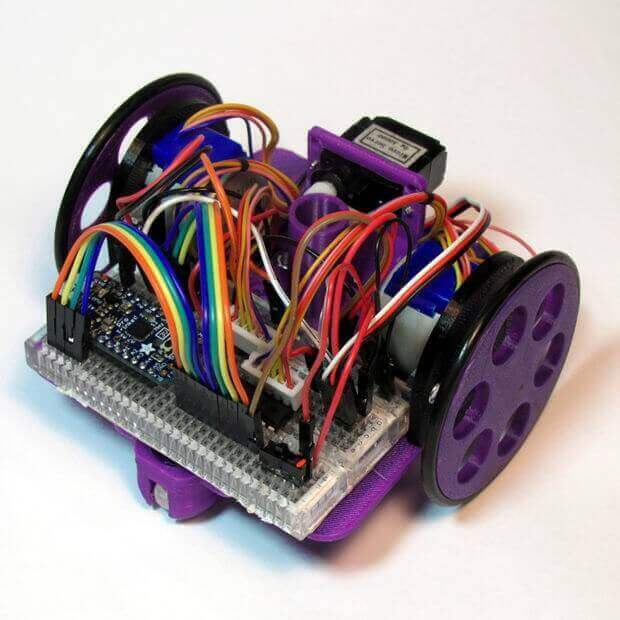 The robot is powered by an Adafruit Pro Trinket 3V and uses code written with Arduino IDE. Makersbox decided to use Arduino as it is an open-source electronic prototyping platform allowing you to create interactive electronic objects. The robot can then be programmed using a set of commands relating to its position on a piece of paper. The Trinket can be programmed to raise and lower the pen onto the paper, move the robot backwards and forwards and rotate it in both directions. The 3D printed device is driven by an Adafruit Pro Trinket, a pair of steppers (and driver), a micro servo and 4 AA batteries, as well as required screws and wires. The robot contains eight 3D printed parts, including the impressive chassis and wheels. It works by using 4 AA batteries in order to keep costs low and so the product could be easily used at home. 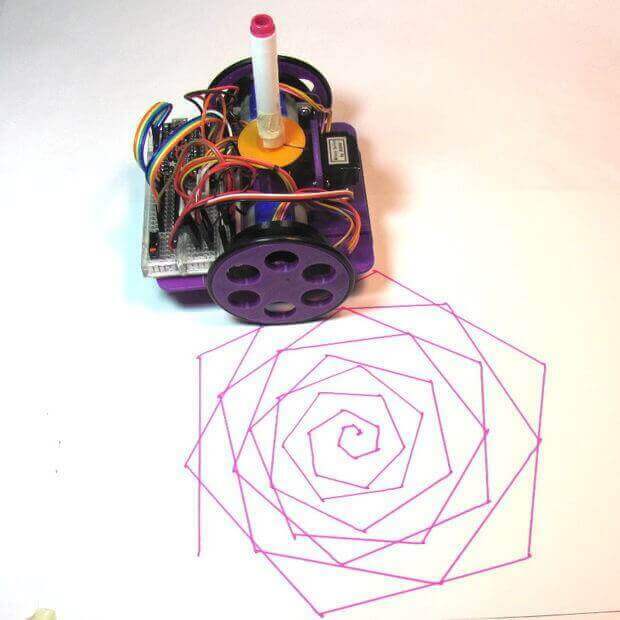 You can create your own drawing robot following MakersBox instructions. What do you think of the design? License: The text of "Build a Low-Cost, Arduino-Powered Drawing Robot" by All3DP is licensed under a Creative Commons Attribution 4.0 International License.